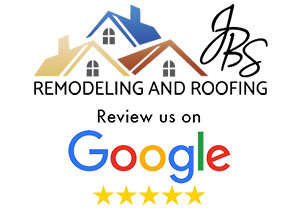 Here at JBS Remodeling & Roofing, we value the quality of service provided to all of our clients just as much as we value their feedback about our services and craftsmanship. Please take a moment to read about what some of our customers have had to say about us. We recently decided we wanted to gut our partially finished basement, remove a load bearing wall and create a home theater and entertaining area. 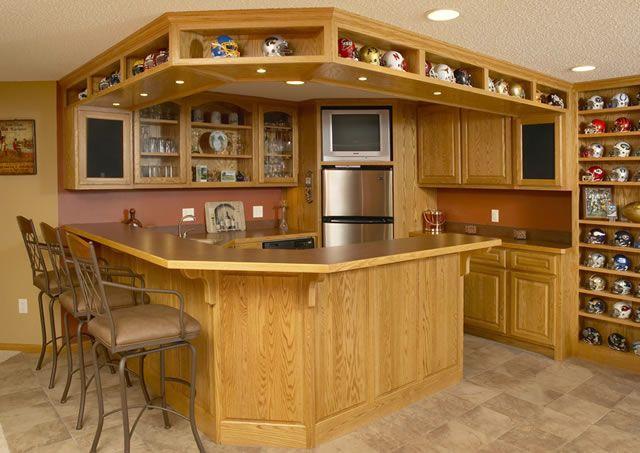 We called several companies and in the end picked JB Custom Carpentry. 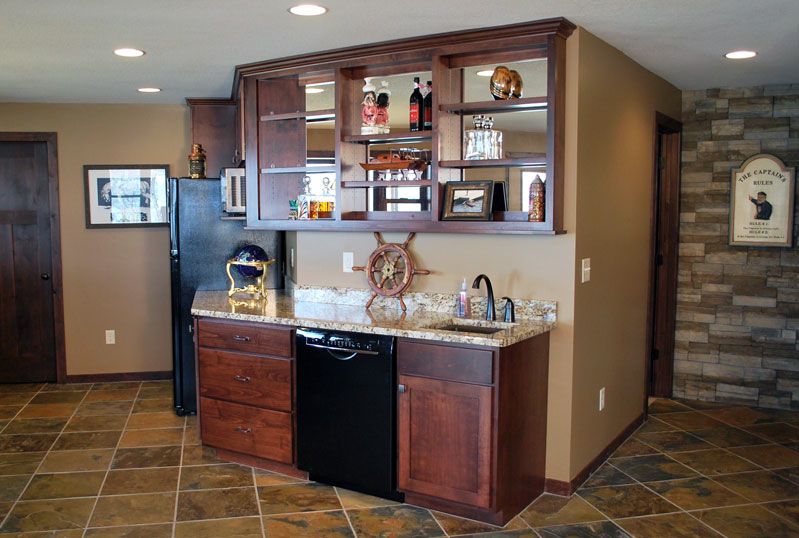 We’re glad we did and absolutely love our finished basement! Working with John made the whole process easier from start to finish and we got exactly what we wanted. John met with us twice to consult on the project before we signed anything or started any work. He listened to what our vision was and gave us some great ideas of his own. Throughout the project he was timely, kept us up to date on what was going on and responded quickly to our questions. One of our biggest concerns was our budget. John communicated well with us when we asked for add ons and always let us know where we were with our budget before he did anything so there were no surprises. 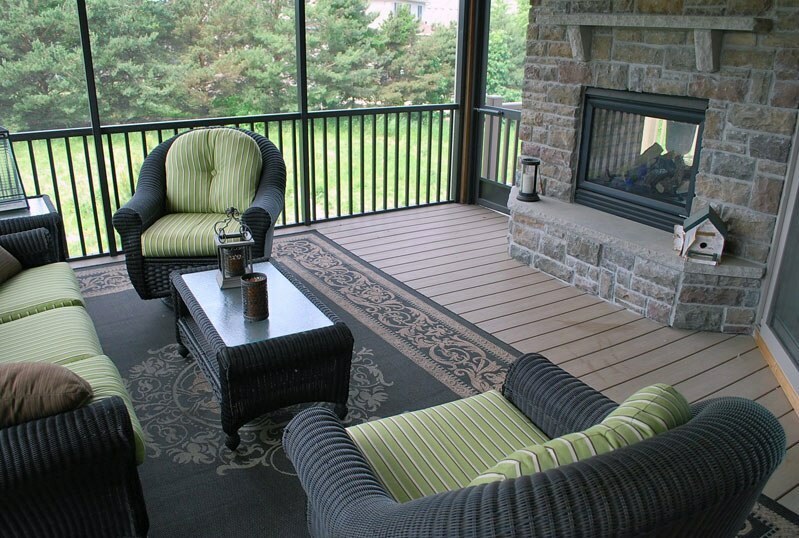 The quality of the work that was done is outstanding and the end result is a gorgeous, functional space. We’ve gotten compliments from everyone who has seen it. I would recommend JB Custom Carpentry to any of my friends or family members! 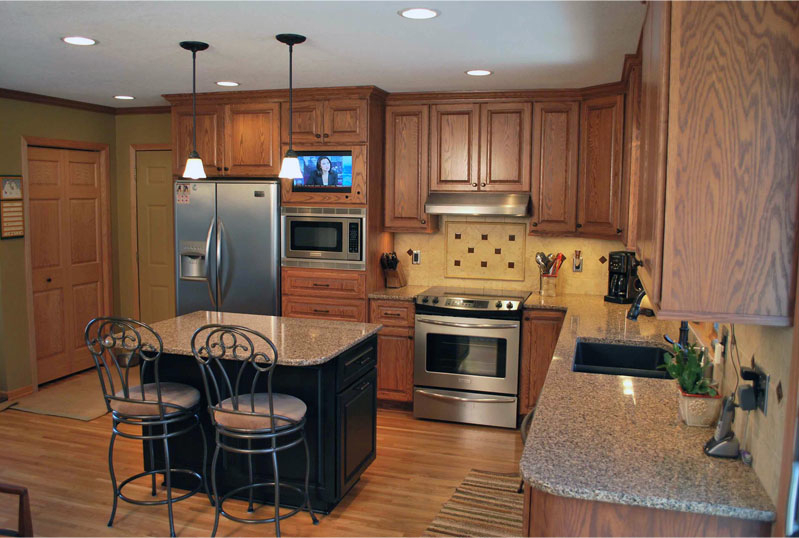 JB Custom Carpentry completely remodeled our Kitchen and Bathroom, installed windows throughout and many other thing. I have complete confidence in John and his work. Quality work, dependable, and creative We have hired John from JB Custom Carpentry on 3 occasions. The first was a full basement finishing. Out of all the bids we obtained, his was in the middle. We went with him because he was the most honest with us about our ideas and how much it would cost, we also saw his finished work with a neighbors basement. The finish work on the woodwork is the smoothest that we had ever seen or touched. We challenged him by requesting an air exchange be moved and to redesign what the builder had laid out for the floor plan. John was able to accomplish this and the room had a much better flow and layout. The other thing that we really wanted was a wood framed coffered ceiling in maple. It turned out beautiful! It it the center of attention whenever we have guests over and makes the room very cozy. When it was time to demolish our builder grade wood deck and replace with a composite deck, we thought of John right away. Again he worked with us to redesign the layout and flow. He figured out a challenge with the steps and the solution is better than we could have thought of. Lastly, we hired him to build us a storage shed. We live in an association, so there are guidelines on any additions or outbuildings. John incorporated ours onto the back of the garage. We have a walk out, so there are retaining walls. He worked extra with the city to find a way to build the footings that were in compliance with codes and still met the dimensions we desired. During all 3 projects, we had kids (middle school) aged and pets home. He was respectful of them and never had any issues. Work site was always picked up, the neighbors never had issues with excessive cars or traffic in the area, and there was never loud music or smoking in or around our house by John or any of his workers. We definitely recommend John with JB Custom Carpentry. He does superior work, is honest, creative, and fair in his pricing with estimates that were spot on (never any extra fees). Basement gutted, load bearing wall removed, full remodel. John, I am writing this to tell you I absolutely love my new bathroom. It is beyond my expectation!!! I had many questions and some concerns, but you addressed each and every one of them to my complete satisfaction. You are truly tops in your knowledge and professionalism in your field. I had a general list of things that I wanted and you suggested few additional items to my delight. I had never even thought of having a light above my bathtub, an additional electrical outlet and where to put the accent tiles. Another big, huge plus for me was while we were signing the contract, you mentioned that if I had any other jobs to do that your team would do it for cheaper because they were already at my house so, no additional trip fees! I admit that I took advantage of your offer and gave you a huge list of things that had been on my to do list for quite some time. They were all completed to my satisfaction. Another HUGE plus for me was the fact that I am deaf and am a lipreader. You made certain that your team understood this and I actually had fun talking to every one of them and teasing them along the way. You texted me every night, telling me who was coming the next day and approximate time of their arrival. Then every morning the subcontractors would text me also to confirm their arrival. (this was done because of difficulty talking on the phone and not hearing the doorbell). I have plumbers, electricians and carpenters in my family so I did have a more critical eye for how the job was done, and I could find absolutely NO fault with anything that was done. I most certainly would recommend John for any remodeling jobs! Thanks again. John, we have a new house! It was such a great homecoming. Your plan included touches we would not have known to request and it gave such a great finished product. Everything from prep work to clean-up was done so professionally. We were impressed with that from the start. I’m sure you were glad we could “get out of town” to give you space to clean up. Also, I love the waste basket space in the island! John, we would like to express our appreciation for the fine job JBS Remodeling & Roofing did in building our maintenance free screen porch. From the beginning, you were eager to meet with us and listen to our ideas and expectations for the project. We are especially pleased with the quality of work that you delivered, and have received many compliments on our new porch. Everyone involved was very professional, responsive, and easy to work with. Additionally, the site was always clean at the end of the day. 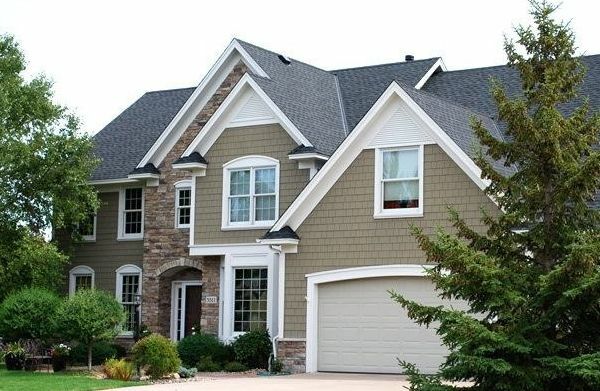 Any remodeling process can be stressful, but we truly appreciate the personal attention, quality materials, and attention to detail that you provided. Perhaps just as important, the project was finished on time! 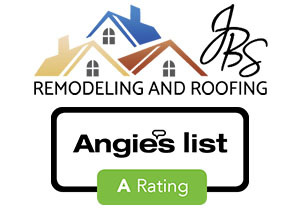 We would highly recommend JBS Remodeling & Roofing! John, we are writing this letter to thank you for your excellent work on our house project last Summer. We are extremely happy with our new addition, as well as the maintenance free deck, siding, and new windows throughout. You were very helpful with the decision-making process from the start and then throughout the entire project. We valued your suggestions to make the end result even better, and of course, you were right. I could talk all day about what a great job you and your employees do and how particular you are about your work, but when I hear from your subcontractors how much respect they have for your work, that speaks volumes. In casual conversation, three separate companies that you hire to work for you, commented on what a great contractor you are. They know, they see it all. The good, the bad, and the ugly. When they do work for you, it reflects excellence on them as well. Keep up the amazing work. Thanks again for the great experience. My husband and I contracted John Schlorhaufer to build an addition to our deck. He was eager to meet with us to discuss our plans. He was quite receptive to our plans. He was quite receptive to our ideas as well as offering a few alternatives. We were very impressed with his promptness. He explained that he would be at our home at 9am on a Thursday morning, and indeed at 9am he and his employee [Brent] were there. In working with other people in the trade, we have not found that enjoyment! My husband Mark and I strongly recommend John Schlorhaufer for any and all your building needs. John, I wanted to take a minute to thank you for the work you did on our lower level. Kelly and I are very happy with the result. You came in right at budget, and were able to complete it earlier than we had anticipated. Everything was done very professionally. I have seen documentaries on television about remodeling horror stories, but our experience could not have been better. We are already enjoying the comforts of our new lower level. It is a joy to come home to. I have recommended your services to some friends and family who are considering remodeling. Please feel free to use our name as a reference. Again, Thank You for a job very well done.